Smoking your meat will provide it with an amazing flavor that simply can’t be obtained through cooking it on a grill or even in your oven. Back in the old days, you’d have to build a smokehouse for smoking your meats. However, since that time, the art of smoking has advanced in many ways. There are lots of different types of smokers available and each one has its very own unique benefits and features. While this variety can be a good thing, it can also make it that much more difficult to make a choice. In fact, it can even be harder than simply building your very own smokehouse. However, don’t worry too much about it, the following information will help choosing your smoker much easier. There are four popular smokers on the market today: charcoal, electric, pellet, and propane. Let’s take a closer look at each one and how they compare to each other. A charcoal smoker is an excellent choice because it will provide you with the most genuine smoked flavor to your meats. However, this will come at a price. You will have to take the time to set up and start your charcoal, then, to stoke your charcoal, keep a close eye on your charcoal, and finally dispose of it – just as you have to with a traditional charcoal grill. In other words, it really does take a lot of effort. A charcoal smoker will allow you to combine two levels of wood flavoring by burning the wood chips with the charcoal. This means that you can mix and match various wood chips to create flavors that are much deeper with more nuances. For the gourmet smoking enthusiast, the charcoal smoker is the most obvious choice. If convenience is your top priority, then a push-button start electric smoker is the best option for you. However, one thing to keep in mind is that an electric smoker needs to be near an outlet, since it depends on electricity to function. This means that it’s not as portable as some other types of smokers will be. Of course, you can get an electric model in digital or analog style. A digital electric smoker has a digital screen with buttons that allow you to set the desired temperature. On the other hand, an analog style electric smoker has a thermostat dial that allows you to set the desired temperature. One advantage of an electric smoker is that your food will cook at a much quicker rate- but you’re not going to get the rich, smoky flavor that you would from a pellet grill. Next is the pellet meat smoker, which will give you the convenience of propane or electric smokers – but provides the flavor of a charcoal smoker. Typically, pellet meat smokers have a dial that allows you to set the temperature and allows your food to cook while you put your focus on sauces and/or rubs. A pellet smoker provides your meat with a flavor that is much deeper and smokier than a propane or electric model – but is still convenient to use. Of course, you’ll still have to take the time to make sure that you have plenty of wood pellets, but you can basically set it to the desired temperature and forget it for a bit. In addition, you can still mix/match different woods, just as you would with a charcoal smoker. However, one disadvantage is that while your meat will have a rich, smoky flavor, it won’t be nearly as rich and smoky as it would be if you were using a charcoal smoker. Finally, a wonderful alternative to an electric smoker is the propane smoker. You won’t have to worry about being near an electrical outlet or losing electricity and your meat getting spoiled. Since you don’t have to be near an electrical outlet, you can take your propane smoker anywhere you want to. 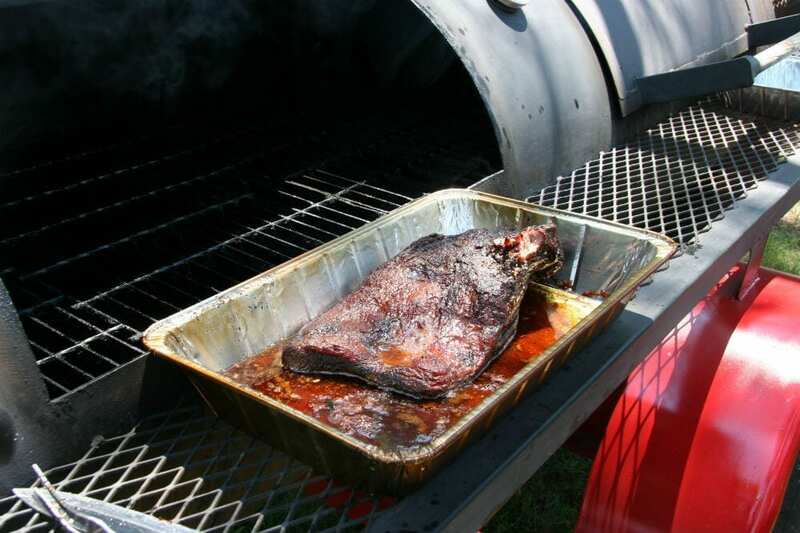 Plus, a propane smoker provides a much richer, smokier flavor than an electric smoker will give you. The advantages of a propane smoker are comparable to those that come with a gas grill and they are much more convenient to use than a pellet smoker or a charcoal smoker. Propane smokers are a lot like propane grills, they have a push-button start and a temperature gauge built in. Once you have decided that you do want to invest in a smoker, it’s time to start making a decision on which one best fits you and your lifestyle. First, you must determine what your number one priority is. If convenience is basically all that matters to you, then you’re going to want to choose an electric smoker. On the other hand, if flavor is your top priority and you want to get the richest, smokiest flavor you can, then you are going to want to choose a charcoal smoker. Of course, if convenience is important to you, but you also want to get a fairly rich, smoky flavor, you’ll want to choose a propane smoker. Finally, if you’d like to find a happy medium between being convenient to use and creating a good smoky flavor, then a pellet meat grill is going to be the best option. No matter which type of meat smoker you choose, it’s definitely going to be much easier on you than building a smokehouse. Before you know it, you’ll be well on your way to being the best barbecue host in the neighborhood.